Major Case Bureau detectives report the arrest of a New Cassel man for a Bank Robbery that occurred on Monday, April 4, 2016 at 3:06 pm in Freeport. 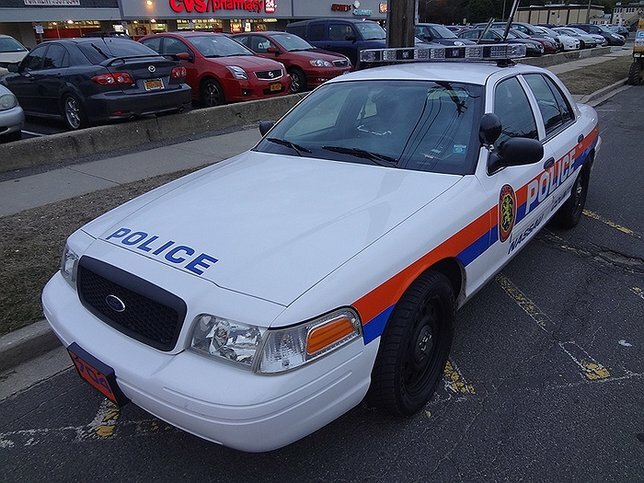 Freeport, NY - March 5th, 2016 - Major Case Bureau detectives report the arrest of a New Cassel man for a Bank Robbery that occurred on Monday, April 4, 2016 at 3:06 pm in Freeport. According to detectives, a heavy set male black walked into Chase Bank, 25 South Main Street and presented a demand note for money to a teller. When the teller backed away from the window and showed another teller the note, the subject left the bank without any proceeds. Upon police arrival a notification was broadcast and a short time later, the subject, Harvey Rushmore, 55, of Clover Street, was located at the Freeport train station parking lot and placed under arrest without incident by Freeport Police. Rushmore is charged with Attempted Robbery 3rd Degree and will be arraigned in First District Court, Hempstead on 04/05/2016. Subject: LongIsland.com - Your Name sent you Article details of "New Cassel Man Arrested for Robbing Freeport Chase Bank"